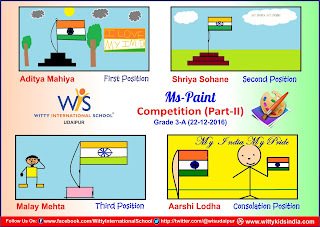 On the top of the World...: "If I could say it in words there would be no reason to paint." 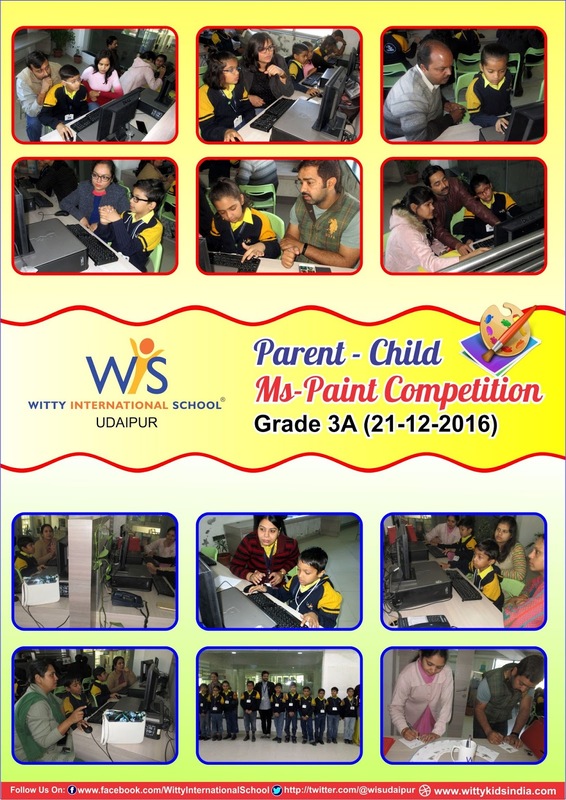 A Parent Child Ms Paint Competition for Grade- 3A was organized by WIS, Udaipur on 21/12/16. 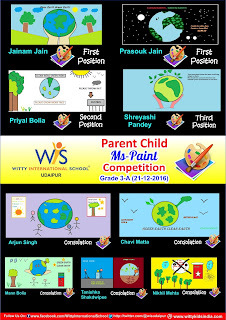 Students of Grade-3A showed great imagination and innovation in creating excellent Paintings on the topic “Clean Earth Green Earth” on their computer screens, using different features of MS Paint. 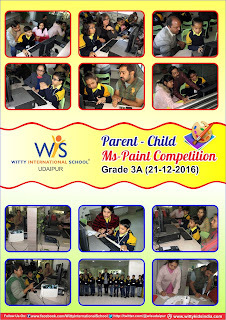 The Students as well as their parents enthusiastically participated in the competition and conveyed their thought on Environment and Nature through their paintings. 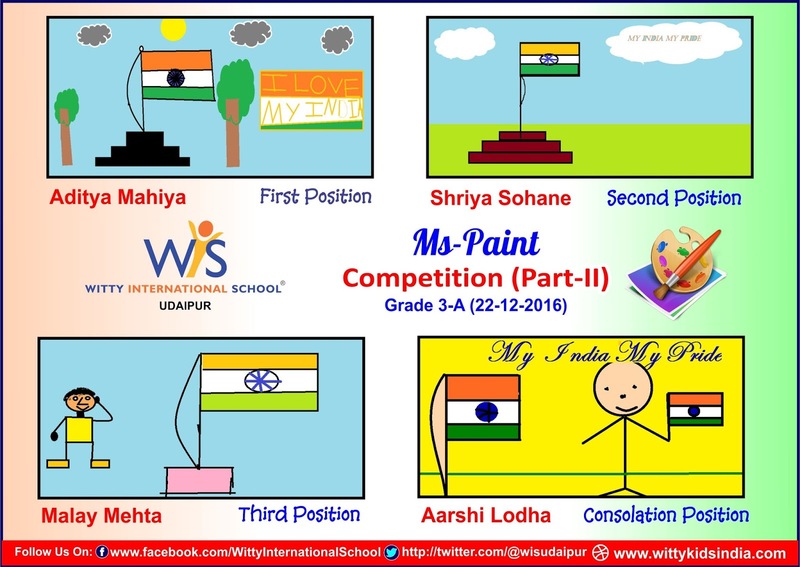 Not only did they incorporate many facets of the topic, but even the color combination and presentation on the topic was highly commendable.